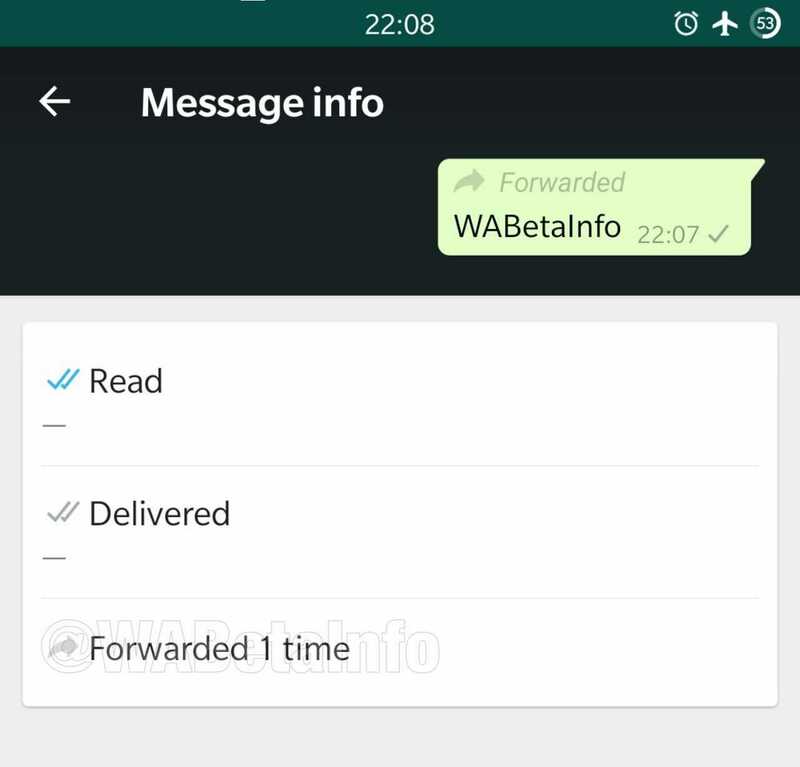 WhatsApp is about to introduce a host of new features on its messaging app in the latest WhatsApp Beta for Android. These are still work in progress and are called ‘Short Link’, ‘Forwarding Info’ and ‘Frequently Forwarded’. Here are the details of these features. 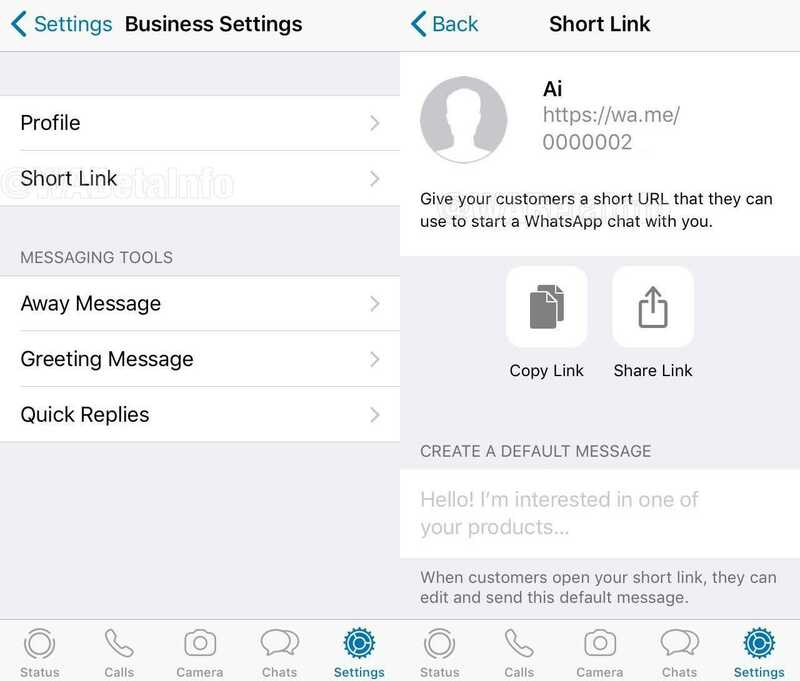 You can see the ‘Short Link’ feature in the above image and WhatsApp is able to assign a URL that you can use to send to your customers to click on and engage in a chat with you. 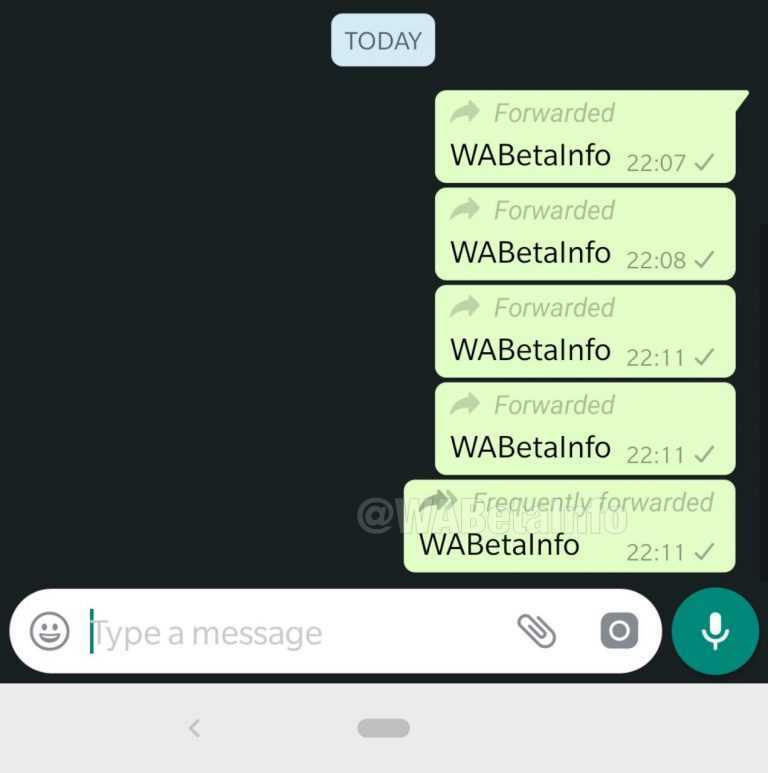 This Short Link feature has been made available to the Android users earlier with the WhatsApp beta for Android 2.18.138 version. As you can notice, the last line says Forwarded 1 time. Obviously, if it has been forwarded more than once it will appear here. It should be clarified here that this facility is available only on the message you sent. This feature is an improvement on the previous ‘Forwarding Info’ feature. If a message gets forwarded more than 4 times, it is categorized as ‘Frequently Forwarded’ and it appears on the messages when delivered to you in the inbox. WhatsApp may use this as the tool to identify such messages which get forwarded too many times as suspect or containing fake or mischievous and action can be taken accordingly. The relevant page looks like this.